In 2006 Lewis and Sahrmann produced a great article on acetabular labral tears. They provided great information regarding the anatomy and function, the concepts on the eitiology, clinical characteristics, diagnosis, and treatment of labral tears. This is an important article to read since labral tears have become more prevalent in the past few decades and surgical management of this disorder continues to progress. It’s important to fully understand labral tears before attempting to manage a patient’s care. This article provides the information that can help orthopedic professionals better understand this pathology. This post will go over some of the key points from the article. For a deeper understanding please refer the original article. Provides a sealing mechanism for the joint itself. This keeps fluid within the articular cartilage, allowing some of the load to be borne by fluid pressurization and preventing direct contact between the femoral head and acetabulum. Movements such as rotation or twisting, hyperabduction, hyperextension, and hyperextension with lateral rotation have all been reported to lead to labral tears. However, up to 74.1% are not associated with any known or specific causes. This could be why labral tears often evade detection, resulting in long duration of symptoms (greater than 2 years on average). It is often thought that repetitive microtrauma may be the cause of the labral lesions in these insidious causes. Hip dysplasia is often a significant risk factor in labral tears. 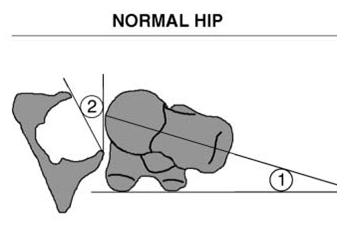 Hip dysplasia can be defined as an abnormality of the femur or acetabulum that results in inadequate containment of the femoral head within the acetabulum. Other structural factors include decrease clearance between the femur and acetabulum, decreased femoral head-neck offset, and acetabular retroversion. Structural factors can have a significant effect on hip biomechanics and could lead to hip impingement even within a normal ROM. 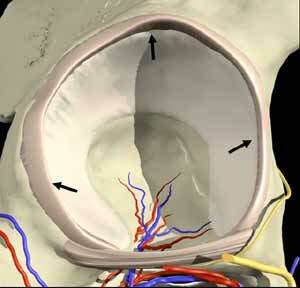 Greater than 90% of the patients report pain in the anterior hip or groin region. Anterior hip or groin pain is more consistent with anterior labral tear, whereas buttock pain is more consistent with a posterior labral tear. Mechanical symptoms include clinicking, locking, catching, or giving way. Clicking was the most diagnostic symptom with 100% sensitivity and 85% specificity. Symptoms usually report a long duration of symptoms (average of > 2yrs). The anterior orientation of both the acetabulum and femoral head leads to the least bony constraint anteriorly. So the body relies on the labrum, joint capsule, and ligaments for anterior stability. Bony orientation of femur head and acetabulum results in increased anterior hip forces taken up by labrum, joint capsule, and ligaments. Standard magnetic resonance imaging produces both false-positive results and an underestimation of labral pathology and has only a 30% sensitivity and a 36% accuracy. Whereas magnetic resonance arthrography produces better results, with reported accuracies as high as 91%. Suspect an acetabular labral tear when a patient with normal radiographs complain of a long duration of anterior hip or groin pain and clicking, pain with passive hip flexion combined with adduction and medial rotation, and pain with active straight leg raise and has minimal to no restriction in ROM. Intervensions should be focused on reducing anteriorly directed forces on the hip by addressing the recruitment patterns of muscles that control hip motion. Correcting the movement patterns during exercises is very important to intervene the maladaptive compensations that may already be occuring. For example, patients with an anterior labral tear have the tendency extend their hip with hamstring dominance over the gluteus maximus. Therefore emphasis should be placed on activating the glut over the hamstring during exercises involving hip extension. Instructions to avoid loaded pivoting motions should also be emphasized. The overall goal is to optimize the alignment and control of the hip joint. Controlling the accessory motion (particularly during flexion and lateral rotation) and avoiding excessive forces into the anterior hip joint should make up the majority of the interventions. During active hip extension in the prone position, the femur exerts an anteriorly directed force on the acetabulum once the hip is extended approximately 5 degrees. This force is even greater on the anterior acetabulum when the hamstrings dominated the motion (as opposed to the gluteus maximus). Like most impairments that involve damage to a stabilizing tissue; acetebular labral lesions have been associated with chondral damage and hip osteoarthritis. At the time of this article the authors found that the repaired labrum had the slowest recovery and required a second procedure, whereas excision or debridement of the torn tissue by arthroscopy is the most common and has a more prompt resolution. However, surgical methods have progressed greatly since this article. Recently, I have been seeing good clinical results in patients with hip labral repairs with a illiopsoas tenotomy. Of course there are always modifiers of surgical outcome, such as hip dysplasia and osteoarthritis. In these cases there have been reports of the best surgical outcomes when the torn labrum was excised and a procedure to improve the containment of the femoral head within the acetabulum was performed. This article does a great job of correlating the hip joint anatomy, biomechanics, and function with the etiology, diagnosis, and treatment. Understanding the provocative kinesiology of the labral impairment is necessary in providing an effective treatment.